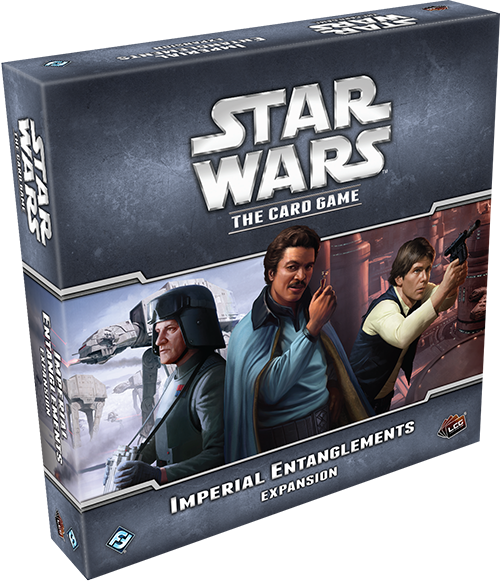 Fantasy Flight Games is proud to announce Imperial Entanglements, the fourth deluxe expansion for Star Wars™: The Card Game! The Star Wars galaxy trembles under the rule of the tyrannical Galactic Empire. Fleets of Star Destroyers and innumerable Stormtroopers enforce oppressive laws, while the Empire commits slavery and genocide against its own people. Yet even faced with such a monolithic government, there are those who push their luck daily to make another handful of credits and stay ahead of the authorities. These free spirits – the smugglers and spies of the galaxy – are united in their hatred of the Empire’s oppression, and they’re willing to fight to keep their freedom, no matter the odds against them. 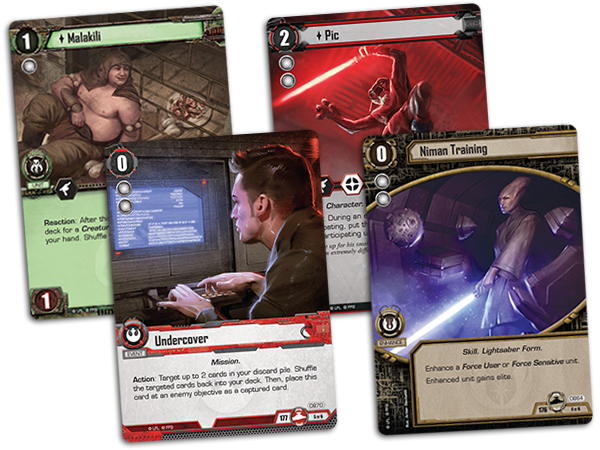 The Imperial Entanglements expansion focuses on the Imperial Navy and the galaxy’s Smugglers and Spies, but every affiliation receives new cards to challenge tyranny or uphold the power of the dark side. 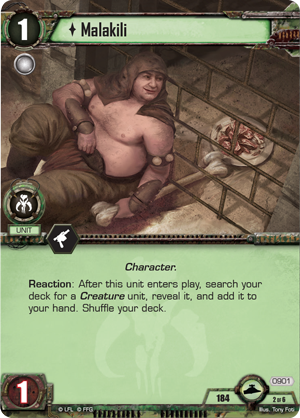 Within this expansion, you’ll find twenty-six new objective sets (two copies each of twelve unique objective sets and one copy each of two “limit one per objective deck” sets). 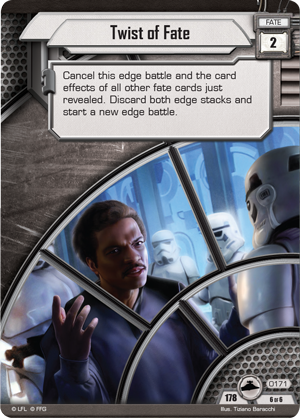 Two brand-new fate cards add new tension to your edge battles, while powerful characters and vehicles like Lando Calrissian and TIE Phantoms join the battle for the fate of the galaxy. Choose your side with the newest deluxe expansion for Star Wars: The Card Game! No single man did more to shape the operations of the Imperial Navy than Grand Moff Wilhuff Tarkin. A cunning tactical genius and the mastermind behind the “Tarkin Doctrine,” Grand Moff Tarkin suggested that the Empire rule through fear of force, rather than force itself. 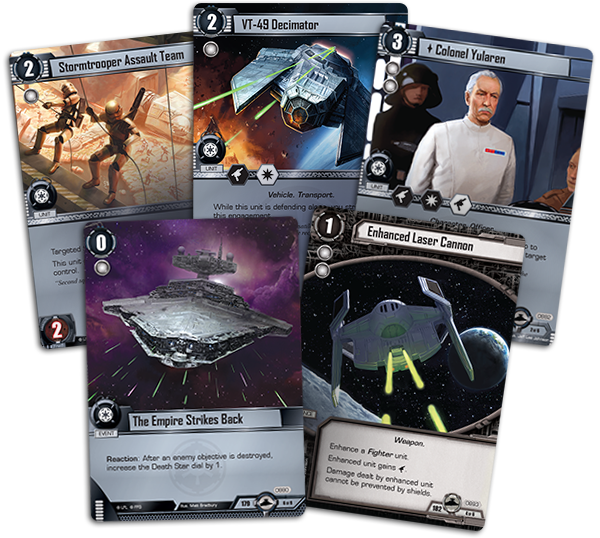 You can bring these ruthless ideals to your games of Star Wars: The Card Game with all of the new Imperial Navy objective sets introduced in Imperial Entanglements, but today we’ll focus on the objective set that includes Grand Moff Tarkin himself. 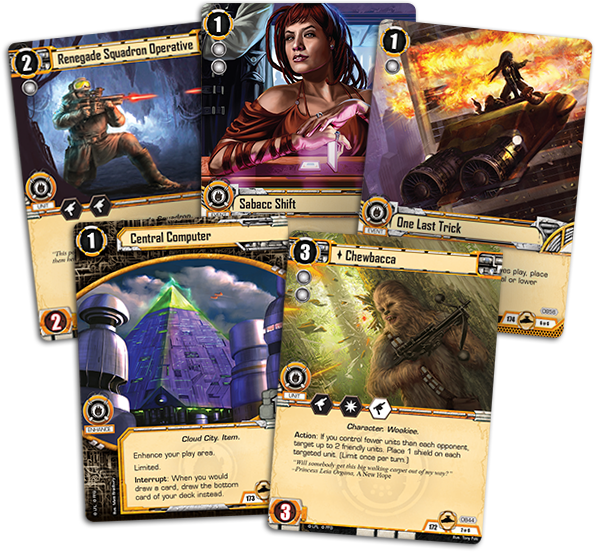 To win a game of Star Wars: The Card Game, the light side must destroy three objectives. 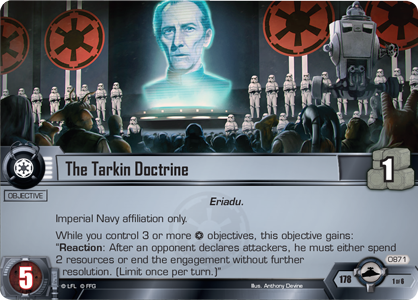 The Tarkin Doctrine (Imperial Entanglements, 871) helps you restrict the light side’s attacks by forcing the light side player to spend two resources in order to make a chosen attack each turn. 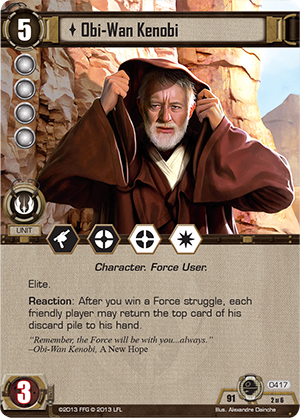 This naturally reduces your opponent’s options for deploying units on his turn, and when he does finally play a high-cost unit like Obi-Wan Kenobi (Balance of the Force, 417), you can return him to his owner’s hand with Rule by Fear (Imperial Entanglements, 874). The most outspoken enemies of the Emperor’s new order cannot be cowed into submission. Rather, they must be vanquished for peace to return to the galaxy. 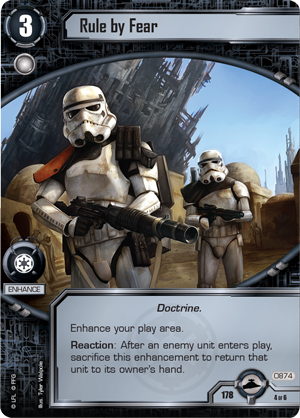 To vanquish these dissidents, you may dispatch a Stormtrooper Assault Team (Imperial Entanglements, 873), a unit that bears the targeted strike keyword and can dispatch most light side units in a single blow. Other foes must be silenced by other means. 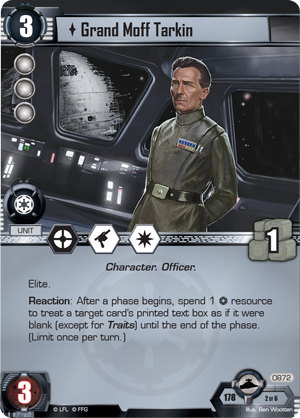 A new version of Grand Moff Tarkin (Imperial Entanglements, 872) joins the game with this objective set, bringing powerful tactics, an additional resource, and the ability to blank any card’s printed text box by spending an Imperial Navy resource. 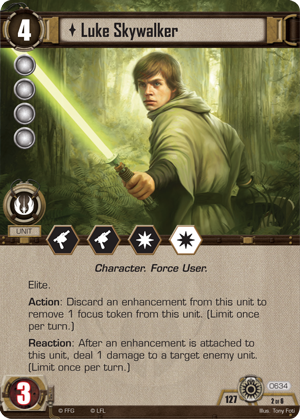 You may use this ability to neutralize a hero like Luke Skywalker (Between the Shadows, 634) or shut down a troublesome enhancement like the Knobby White Spider (Between the Shadows, 649). If you wish to truly restore order to the galaxy and exterminate any who rebel, you must make an example of those who oppose the will of the Emperor. 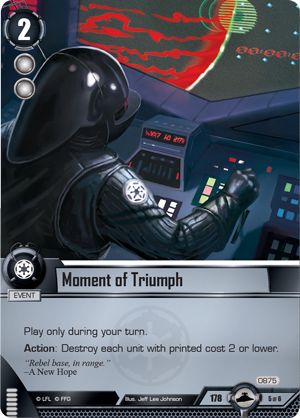 To this end, you may play Moment of Triumph (Imperial Entanglements, 875), which destroys all units with a printed cost of two or lower. By wiping out the smaller units that oppose you, you can sabotage your opponent’s support network of units like the Guardian of Peace (Core Set, 109). Alternatively, you may use the Twist of Fate (Imperial Entanglements, 171) included in this set to shut down a key edge battle. Wherever you apply the Tarkin Doctrine, you can restore order to the galaxy through the might of the Imperial Navy. Even as the Imperial Navy cracks down on resistance across the galaxy, ruling through fear and threats, there are those who fight for freedom. Among these defenders of the innocent, none are more fearsome than the Wookiees of Kashyyyk. 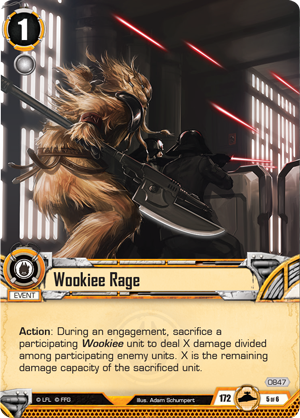 Known for their loyalty and their fury in battle, the Wookiees are worthy allies for any who battle against the Empire’s evil. 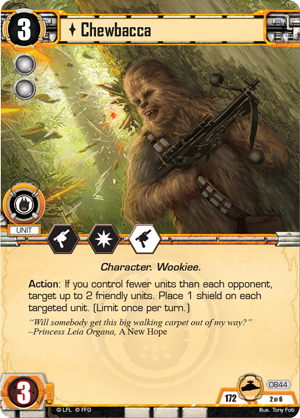 With the help of the Wookiees, you can maximize the fighting power of a small group of units by waging guerrilla warfare against the Empire and using shields to defend against larger forces. 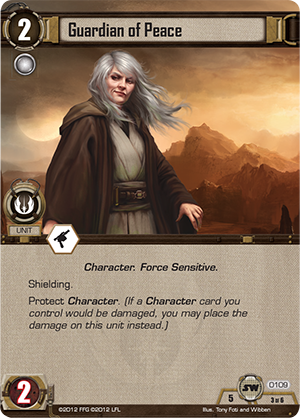 In Star Wars: The Card Game, shields offer an easy way to deflect damage or enemy tactics. 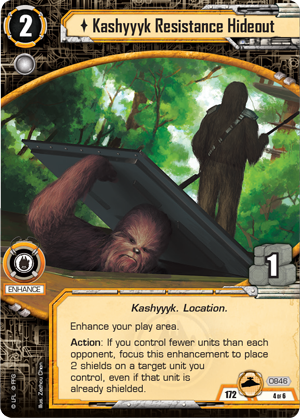 The Protection (Imperial Entanglements, 256) fate card can place a shield on any unit, while the Kashyyyk Resistance Hideout (Imperial Entanglements, 846) can be focused to place two shields on any unit that you control, provided you control fewer units than any other player. 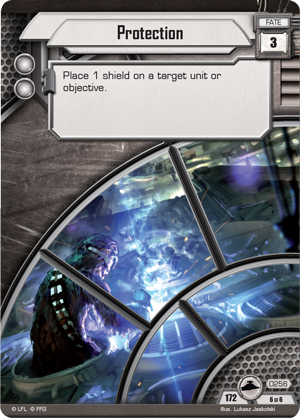 What’s more, as long as you control fewer units than your opponent, the new version of Chewbacca (Imperial Entanglements, 844) can place a shield on two friendly units as an Action! You can even use this ability on your own turn and again on your opponent’s turn. Meanwhile, the Wookiee Defender (Imperial Entanglements, 845) grows even more dangerous when shielded. 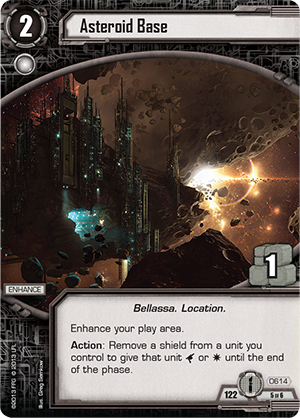 Obviously, with so much potential for shields, you’ll probably want to include Asteroid Base (Darkness and Light, 614) in your deck, allowing you to make a more dangerous attack when the time is right. Despite your best efforts, some noble Wookiees will perish in combat. Fortunately, they’re never gone forever when you have Debt of Honor (Imperial Entanglements, 843) in play. 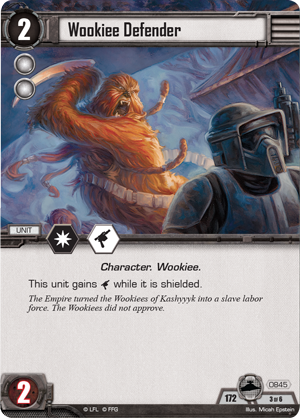 This objective allows you to shuffle your dead or sacrificed Wookiees back into your deck, ensuring that they can return to play later. You may even choose to sacrifice your Wookiees yourself with Wookiee Rage (Imperial Entanglements, 847). 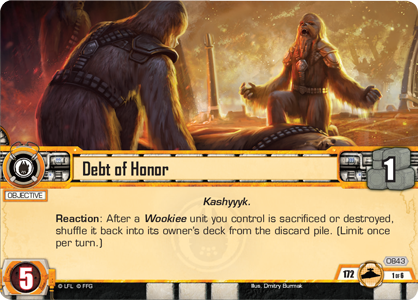 By sacrificing one of your Wookiee units with this event, you can damage the foes that stand in your way and potentially clear the way for a devastating strike from your other units. As the Imperial Navy oppresses countless star systems and the Smugglers and Spies gamble for victory, each of the other four affiliations enter the battle in their own ways. The Sith draw deeply on the power of the dark side with the Sithspawn brothers, Gorc and Pic. The Rebel Alliance plots dangerous rescue missions for dark side captives with the help of an Alliance Infiltrator (Imperial Entanglements, 868). Meanwhile, on the Outer Rim, the Jedi bide their time, focusing on the ways of the Force and preparing for future action against the dark side. On Tatooine, Malakili (Imperial Entanglements, 901) tends Jabba’s menagerie of deadly Creatures. 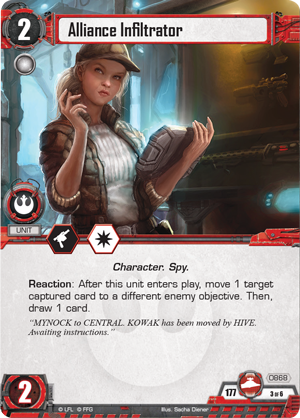 No matter which affiliation you support, you’ll find powerful new cards that offer new tactics and support new styles of play among the objective sets within Imperial Entanglements. The battle lines of the Galactic Civil War have been drawn. Will you take your stand with the Empire and enforce tyranny across the galaxy with the Imperial Navy? Or will you brave the odds and gamble on a desperate fight for freedom with the rogues and smugglers? 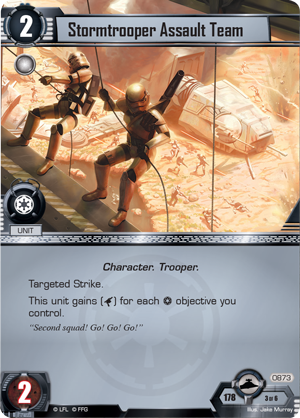 With Imperial Entanglements, you bring thrilling battles and cunning new tactics to your games of Star Wars: The Card Game. 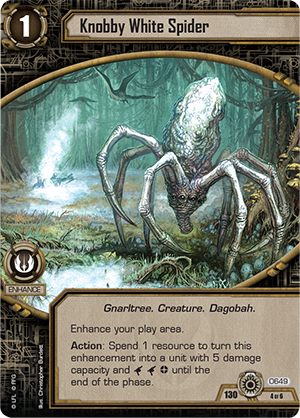 Look for Imperial Entanglements to be released in the third quarter of 2015!